The Allied Jewish Federation of Colorado (Federation) recently announced that the annual Men’s Event will be held on Thursday, November 8, 2012 at 6:00 p.m. at the Wings Over the Rockies Air and Space Museum in Lowry. The event will feature keynote speaker Michael Milken, a philanthropist, financier and medical research innovator. Milken is the chair of the Milken Institute, an economic think tank that focuses on global policy, including efforts within Israel. Named one of the 75 Most Influential People of the 21st Century by Esquire Magazine, Michael Milken is beginning his fifth decade of driving social change. Milken’s philanthropy has transformed medical research, raised awareness of life-threatening diseases, and saved countless lives, leading Fortune Magazine to refer to him as “the man who changed medicine.” He is also an advocate for public education and Jewish education. Through the Milken Institute, he has advanced the causes of Jews in America, the state of Israel and other nations. The event is once again being generously underwritten by Mizel Family Foundations. Additional support is provided by Brownstein Hyatt Farber Schreck, LLP. Federation’s Men’s Event is reputed to be the largest annual gathering of Jewish men west of the Mississippi. This year Federation hopes to attract more than 1,400 people to the gathering. Collaborating with investors, philanthropists, entrepreneurs and policymakers, Milken has helped to identify creative solutions to worldwide problems. “Michael Milken uses his business acumen and financial expertise to develop creative solutions for global problems,” said Doug Seserman, Federation’s President and CEO. In 1982, Milken and his brother formalized their earlier philanthropy by establishing the Milken Family Foundation, which focuses on inventive and effective ways of helping people help themselves and those around them to lead productive and satisfying lives. The Foundation advances this mission primarily through its work in education and medical research. The Foundation has also supported worldwide research in pediatric neurology, nutrition, leukemia, brain cancer and breast cancer. The Foundation’s most acclaimed program, the Milken Educator Awards, was established in 1985 and is now the largest teacher-recognition program in the United States, operating in partnership with state departments of education across America. Further information about Michael Milken is at www.mikemilken.com. Table Captain Recruitment Chairs for this year’s event are Ariel Benjamin, Joel Cohen, Tal Diamant, Yossi Manor, David Rontal, JJ Slatkin, and Royce Zimmerman. There is no cost to attend the Men’s Event; however, a minimum gift of $180 to Federation’s 2013 Flagship Fund is requested. 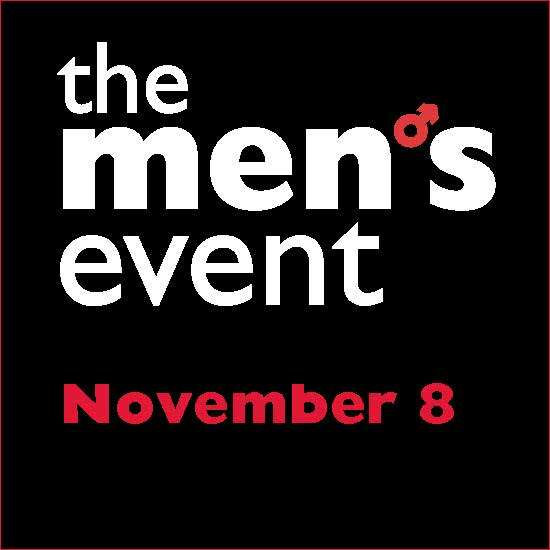 For more information or to make a reservation to attend the Men’s Event, please visit MensEvent.AJFColorado.org, call 303.316.6466, or email events@ajfcolorado.org. Next Come to First Bite…Don’t Say Maybe!